How to join the team - freshproject-euroruns Webseite! Are you a young and motivated scientist working on ecological questions in freshwaters? Would you like to meet other young and motivated freshwater scientists from all over Europe and extend your network? Are you eager to learn more about carbon fluxes and greenhouse gas emissions from streams? Do you like to be outside in the nature and conduct field work? Do you have time from September 2016 until June 2017 for a workshop attendance and four sampling campaigns with 2-4 days in the field in each season. 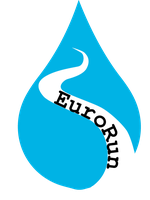 Then gather a team of two to five freshwater scientists from your working place and become a EuroRunner and be part of a European-wide study!